I finally got my hands on an original beauty blender after months of debating whilst I settled with the RT version instead. 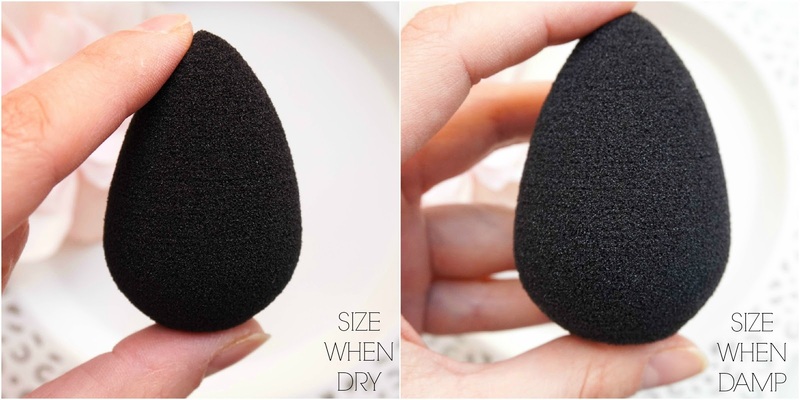 To be honest I have bought about 4/5 RT sponges by now and with my last one I noticed a huge difference in the actual sponge and how it performed, so when I spotted a good discount on Beautybay I just took the plunge and snapped it up for aprox £12 (usually £16). The RT sponge is around £6 depending on where you buy it and what offer is going on at the time, but over the last year I have noticed that it just didn't last that well and would start falling apart after a few weeks of washing, not to mention that it was forever stained. So I think I moved on to the original beauty blender at the right time even if it is that bit pricier, because I have faith that it will last that bit longer. What I loved most about choosing the beauty blender is that they had a few varieties and I decided to go with the black option described as the Pro version mainly because it won't get stained as easily or at least it won't look it. As you can see from the photo above this almost doubles in size once it's damp, like seriously when you first see it in the packaging it is so tiny, I was actually a bit taken back by it. The major difference I noticed between this and the cheaper RT alternative is that it doesn't hold onto as much water or liquid foundation when used. Somehow the sponge is bouncier and even though it is damp it just doesn't feel wet in the slightest compare to how the RT version would be. Of course application with this is flawless and I have to say I don't see a huge difference here between the two varieties of sponges, as they both give off a lovely finish. 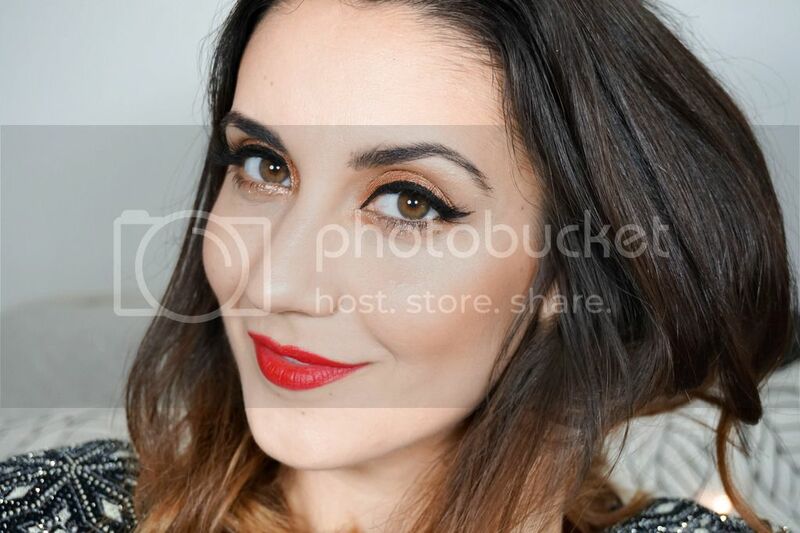 I personally love using this with foundations that have a thicker formula because the finish is never cake and it suits my dehydrated skin perfectly. I'm very impressed by this and considering getting more to my collection already, especially while they are still on special offer. 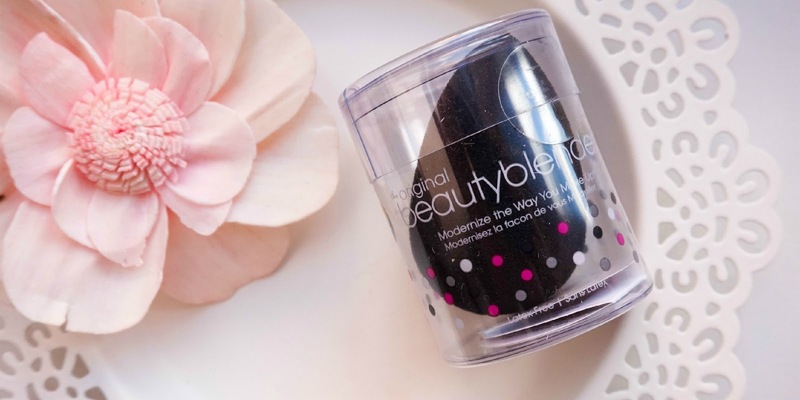 Have you tried the original beauty blender or do you have a different alternative to it?